This time we were again in the popular tourist attraction in the 6th Arrondissement of Paris called the Jardin du Luxembourg, and we took these high definition photos showing the statue of La Prudence on the Palais du Luxembourg, that was sculpted by James Pradier. 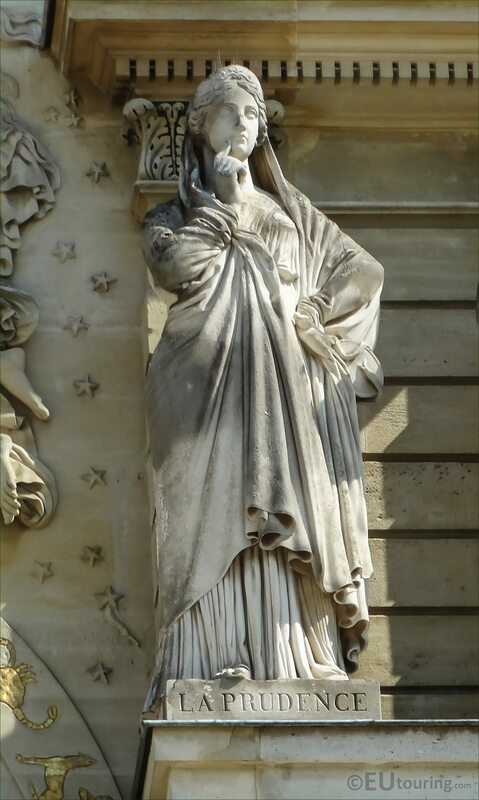 Called La Prudence, which as you can tell from this HD photo, the statue shows a woman holding her hand up to her face in thoughtfulness, as though to be wise and cautious, which was put in place during the reign of King Louis Philippe I. And this statue was produced by Jean Jacques Pradier who was born into a French family in Geneva, Switzerland on 23rd May 1790, yet went to Paris in 1807 and became a French sculptor, who was usually just known as James Pradier, and he became a member of the Academie des Beaux-Arts and a professor at the Fine Arts school in Paris. 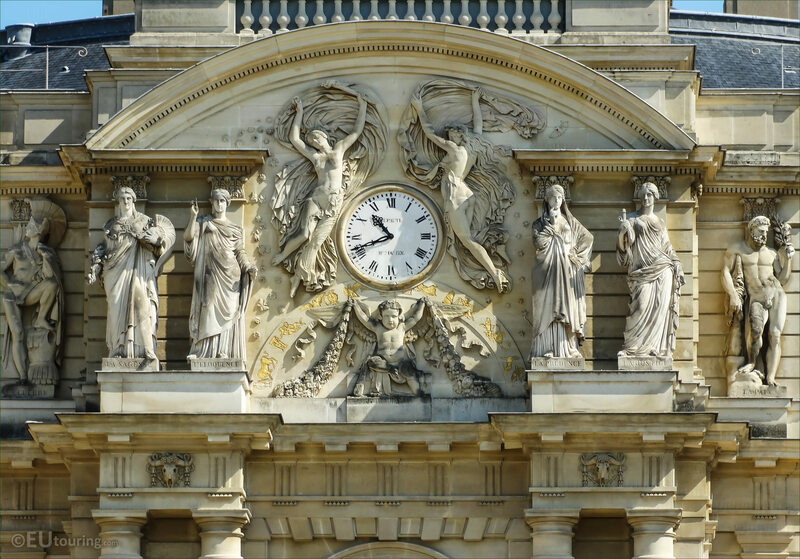 So with his expertise, James Pradier was provided with numerous public commissions, and he sculpted the whole south facade of the Luxembourg Palace, that you can see in this image, but the statue of La Prudence is the sculpture positioned directly to the right hand side of the clock, and can be seen from the main formal garden of the Jardin du Luxembourg.